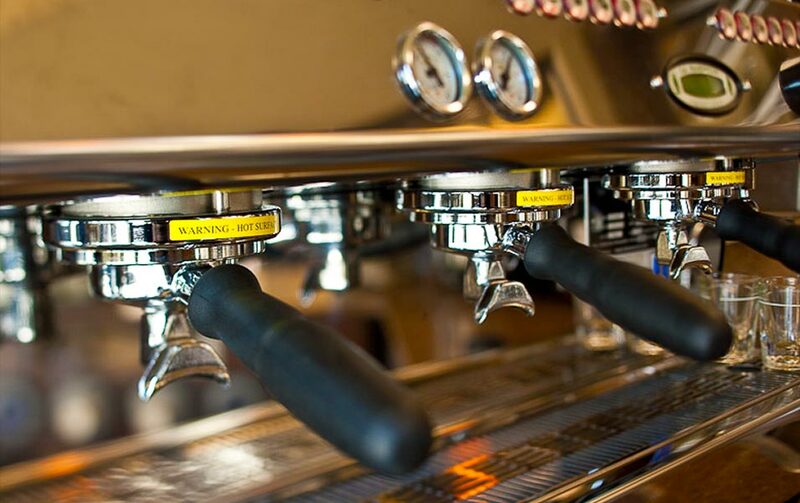 The Java Den features only experienced Baristas per­forming on the La Marzocco GB5 3 Group espresso machine. If we may geek a little here, the GB5 3 is an espresso rock star. Featuring PID temper­ature controls, solid–state relays, pre–heating system and adjust­able steam flow, it takes temp­erature stability to a new level, electron­ically monitoring all machine functions—with saturated brewing groups and dual boiler tech­nology inside. Translation for our cus­tomers: Nirvana in a cup. In the heart of the University of Wisconsin you’ll find a gem of coffee bounty. The Java Den at 1022. Where the daily reassembly of your of being is initiated by an unmistakable coffee splendor. Conveniently located on the ground floor of the iconic Grand Central apartments, The Java Den is an oasis of exclusive espresso served with a passionate devotion to the brew. Whether you’re on your way to class, teaching one, or simply strolling campus for the tastiest caffeine around, we invite you to reconstitute your constitution with a coffee experience unlike that cooling in your cup right now.